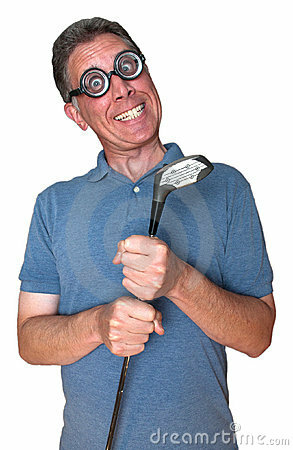 Golf nut, crazy, nutty golfer. Golfing is in the blood of this man but we're going to have to question his sanity and love of the sport! Golfing nerd or jock? Isolated. Might be a goo image for a funny greeting card. Is he a professional pro or amateur? Hard to tell!